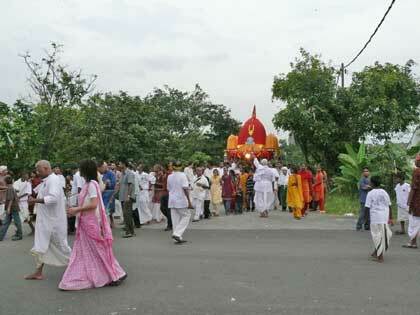 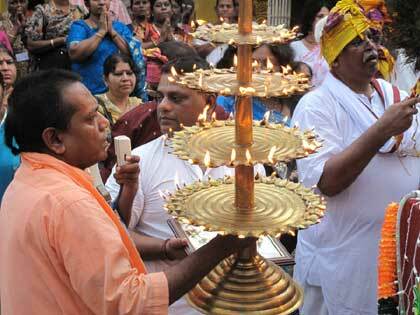 Srila Acharya Maharaj offers a 108 ghee lamp to the Deities on the chariot. 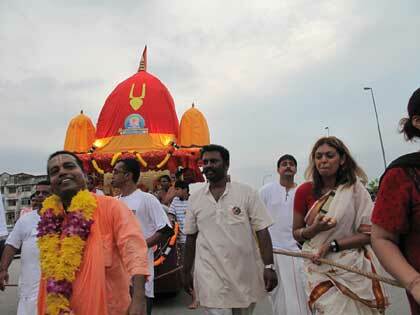 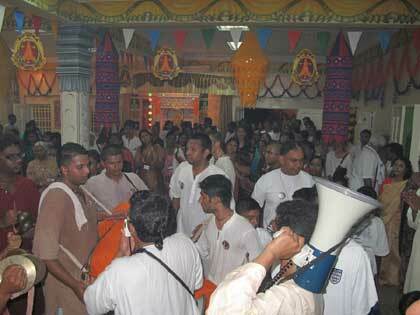 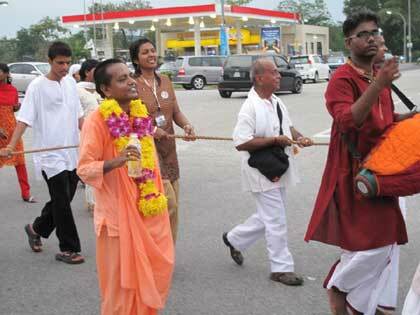 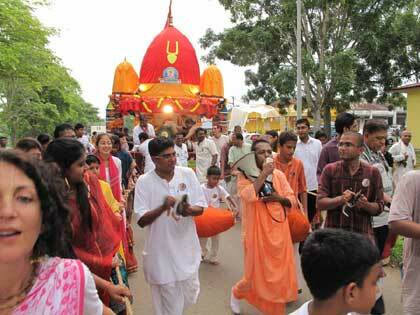 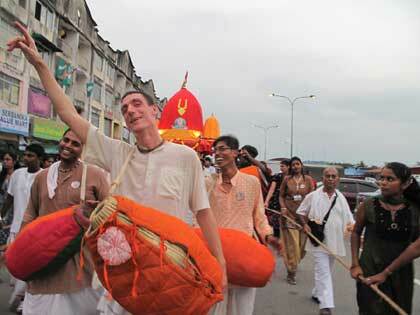 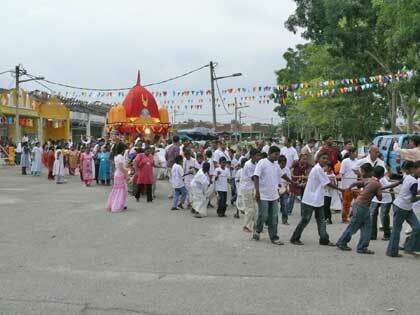 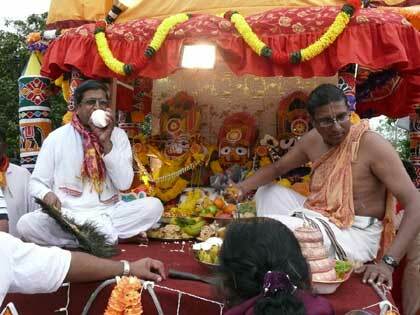 The rathayatra started, happily engaging lots of devotees pulling the chariot. 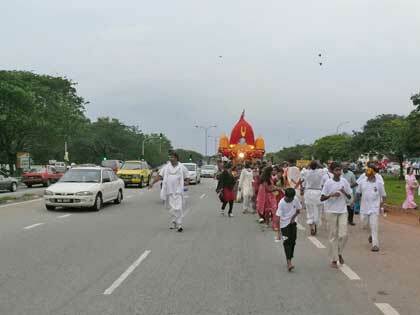 The car was pulled by dozens of devotees of all ages. 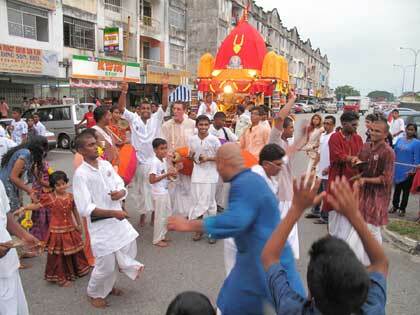 The kirttan party arrived back passing along busy roads. 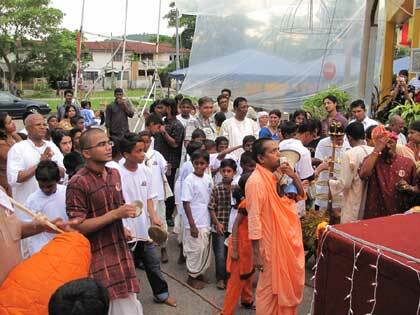 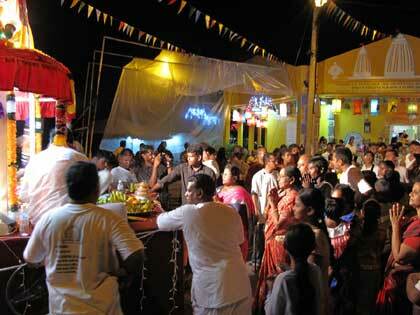 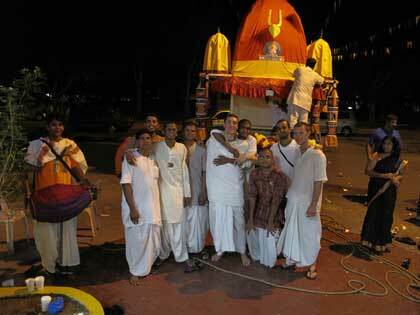 The kirttan party with Their Lordships returned to the temple after the sun had already set. 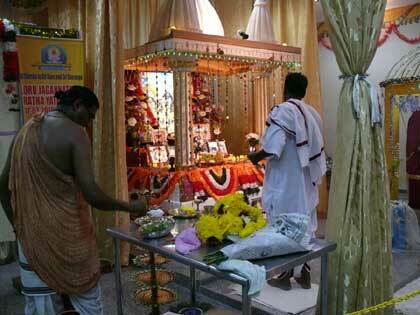 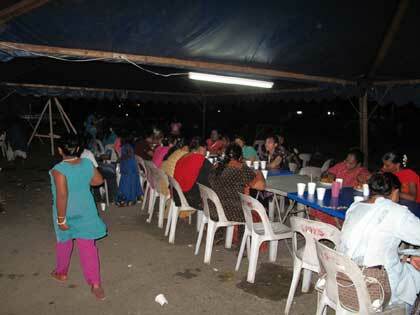 After the final kirttan inside, everyone honoured Prasadam.